DefenAge is a skin care brand on a mission. The three product anti-aging system contains peptides called Age-Repair Defensins® to rejuvenate skin naturally and effectively. These patent-pending peptides are the first of their kind and available exclusively in DefenAge skincare. Defensins work via a natural mechanism of action with stem cells in the body to create new skin. DefenAge has been shown through clinical studies to address signs of aging on a global scale in 6 weeks; including reduction in visible pores, wrinkles, skin’s tone and oiliness, and improvement of skin evenness, hydration, firmness, texture, and clarity. Dr. Darius Mehregan, a renowned dermatologic histopathologist at Wayne State University Physicians Group in Dearborn, MI, performed histopathology analysis of skin biopsies taken in DefenAge’s multicenter study. ‘The good news was that the regimen showed results similar to those seen from retinol treatment, without signs of inflammation. The better news was that there was no increase in the number of proliferating cells in the skin, thus differentiating defensins technology from growth factors that stimulate mass proliferation. 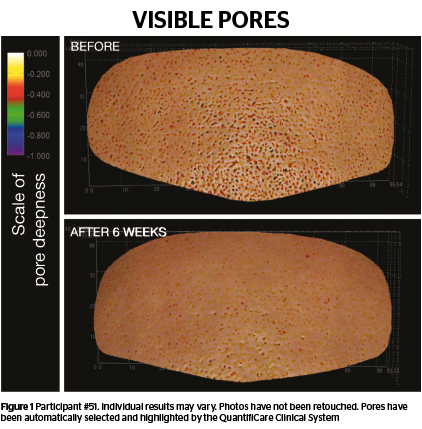 The data from Dr. Mehregan proved that defensins, which is the core proprietary technology of DefenAge, provides a different mechanism of action from retinol and growth factors, while being effective and potentially safer,’ he says. 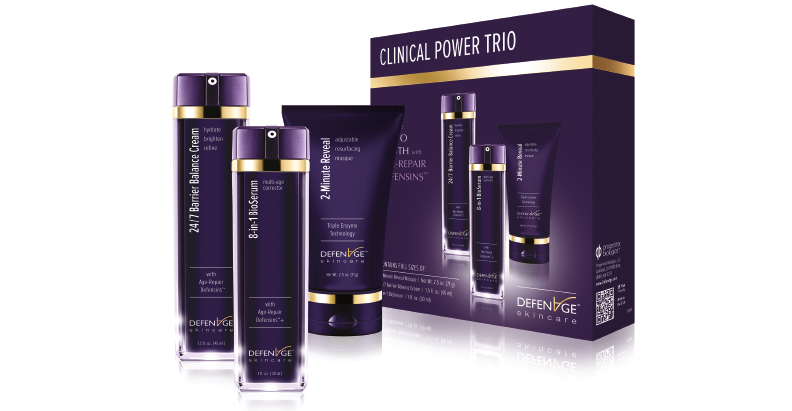 ‘With the DefenAge topical skin care range, [the] company were able to bring this breakthrough age-reversing technology to consumers for the first time. The defensins technology is based on peer-reviewed research and has been extremely well accepted by dermatologists and plastic surgeons as a paradigm shift in the market,’ he says. Dermatologist and researcher Dr. Amy Taub of Advanced Dermatology of Lincolnshire, IL, has been leading the DefenAge Comprehensive Multicenter Clinical Study along with Drs. Vivian Bucay and Gregory Keller. She has looked into the data very deeply to fully understand the analysis and effects of this new skincare technology. Plastic surgeon Gordon H. Sasaki, M.D., F.A.C.S. in Pasadena, CA, introduced DefenAge to his patients over 2 years ago. ‘In our experience, it resulted in significant skin improvement to their wrinkles, texture, pigmentations, pores, and thickness within six weeks without any remarkable side-effects. The keys to these effects were attributed to direct actions of naturally occurring peptides, known as α- and β-defensins, that are produced by keratinocytes and other cells within the skin to directly stimulate LGR6-positive master stem cells. 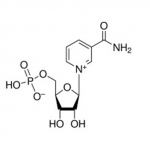 Progenitor Biologics, LLC has created a synthesized version of defensins as matrikine-like peptides that can penetrate the skin’s barrier to affect progenitors of all skin cell lines. The recent multicenter double-blind controlled study demonstrated statistically significant results at 6 and 12 weeks. An ongoing IRB-approved trial in our office hopes to extend these findings,’ he says. 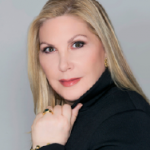 Dermatologist Natalie M. Curcio, M.D., M.P.H., F.A.A.D. in Nashville, TN, has also been an avid user of the DefenAge system in her practice. ‘I read all of the publications on defensins so that I could become very comfortable with the technology, understand their benefits, and be able to compare and contrast the products with products containing growth factors and micropeptides. Defensins are antimicrobial peptides (released by neutrophils in wounds). They act through a “natural mechanism” or signaling pathway. Our body uses this natural mechanism when it heals wounds in the skin. The defensins in DefenAge are synthetic copies of human α- and β-defensins. (ie. not human-derived). They are not growth factors. Defensins are smaller, penetrate faster, and are more readily absorbed as compared to growth factors,’ she says. Additionally, Dr Chernoff has initiated a prospective study using DefenAge in active acne patients, wound healing, striae, and scar therapy. ‘Initial results in all of these challenging patients are very impressive. The acne limb is a formal side-by-side facial control study and I will publish results in the next six months. Anecdotally, I believe the defensins have a positive anti-inflammatory effect in the sebaceous unit as well as on LGR6 cells. The wound healing limb is looking at open non-healing diabetic ulcers and surgical wounds with the product initiated immediately postop and after initial consultation for ulcer,’ he says. In record time, many leading physicians from all specialties have embraced this new development, available exclusively through physicians in the U.S. market. ‘DefenAge has been a game changer in my practice. It is well known that bioactive peptides have become the newest technology in skin care and skin recovery. DefenAge, with its bioactive defensin-peptides, truly transforms the skin by stimulating the entire epidermis to turn over at a faster rate and to increase the thickness. This product has more clinical studies than many other products on the market, demonstrating the effects it has on the skin which are impressive. Over time I think it stimulates collagen production and increased blood flow as my patients see improved pigmentation, decreased number of pores and fine lines, and an overall glow to their skin. I see the best results in patients showing age related skin conditions with fine lines, enlarged pores, loss of texture and overall dullness of the skin. DefenAge alone can transform the skin, but when used in conjunction with other systems, it turbocharges the response and improvement over an even shorter time period. It is the only product I personally use on a regular basis,’ says dermatologist Steven L. Swengel, MD, of REFINED AESTHETIC in Los Gatos, CA. Some patients seem to like DefenAge because of its simplicity. ‘They can use the 24/7 Barrier Balance Cream plus 8-in-1 BioSerum twice daily as their main anti-aging products and then simply add a sunscreen and an anti-oxidant serum. Other patients are combining DefenAge with a micropeptide and/or growth factor product to optimize the benefits of both technologies. They typically use the DefenAge products at night and then use a micropeptide and/or growth factor product in the morning, in addition to a sunscreen and anti-oxidant serum. 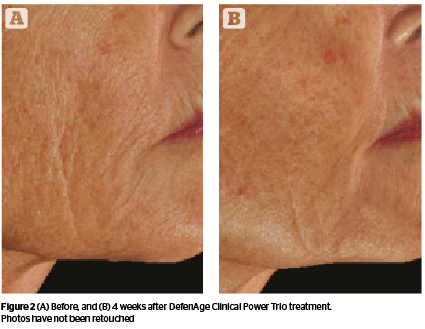 DefenAge addresses many signs of skin aging on a global scale. 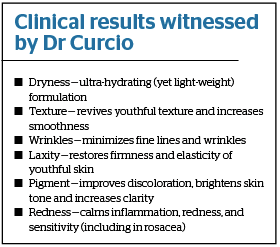 With DefenAge, skin can naturally turn back the clock,’ says Dr. Curcio. Another growing application for this technology is following microneedling procedures performed with guns, rollers, stamps, as well as RF energy-based devices. 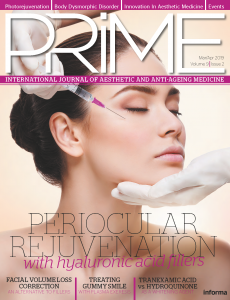 Many physicians, including plastic surgeon Bryan G. Forley in New York City, report that they have seen a pronounced effect post microneedling and decreased downtime for patients. 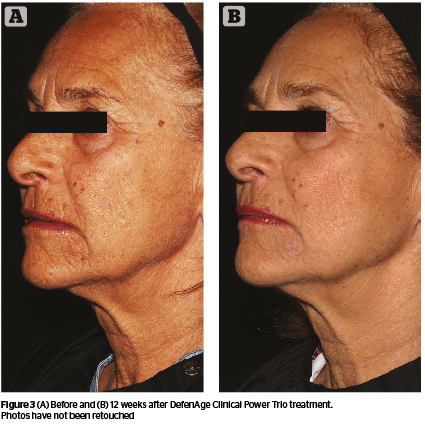 Dr. Curcio notes that she uses DefenAge in combination with fractional ablative resurfacing with radiofrequency systems such as Fractora™ by InMode. ‘Patients typically are using the products before the procedure and then resume application 48–72 hours post-procedure when the skin fine holes in the skin have completely closed,’ she adds. Several key line extensions utilizing the Age-Repair Defensins technology are in the pipeline for 2018 and beyond, but Dr. Turovets is keeping that information close to the vest for now.